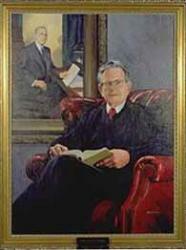 Justice John Fitzgerald was appointed to the Michigan Supreme Court in 1974 by Gov. William G. Milliken (R). He was elected to the Court in 1974 and retired at the end of his term in 1982. Justice Fitzgerald graduated from Michigan State University and the University of Michigan Law School. He served in the U.S. Army during World War II and later became the legal counsel for the Michigan Senate, to which he was elected in 1958. He went into private practice in 1962 and was elected to the Michigan Court of Appeals in 1964, where he served until his appointment to the Michigan Supreme Court. In addition to his judicial service, Justice Fitzgerald was also a professor at the Thomas M. Cooley Law School.